We can provide you home tuitions as well as group tuitions at my location. 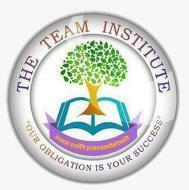 The Team Institute conducts classes in BCom Tuition, Class 10 Tuition and Class 11 Tuition. It is located in Bhagalpur, Bhagalpur. It takes Regular Classes- at the Institute.